The “Night” is still young. Much like his last lead single, “Suit & Tie”, this one came out of nowhere. After releasing a video for the third European single from The 20/20 Experience, “Tunnel Vision”, Justin Timberlake is unleashing the first single from the sequel to that album, which is out worldwide on September 30. “Take Back The Night” takes some cues from Michael Jackson, sounding a lot like Off The Wall‘s “Don’t Stop ‘Til You Get Enough” mixed with Rose Royce‘s “Car Wash”. It appears the mainstream’s recent acceptance of 70’s-influenced songs is going to continue on strong through the fall. Enjoy! EDIT: Both titles have been CONFIRMED. Check out a followup post here. Alright, calm yourself down, Pop fans. You still have a few days before the new Justin Timberlake track premieres, which is rumored to be featuring Jay-Z and Beyoncé. 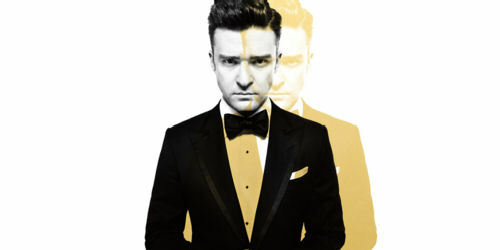 The song, which will make its debut on Monday at 12:01 AM, according to his website, will be the leadoff single from Timberlake’s forthcoming studio album, due in 2013. It is produced by Timbaland. (View the semi-announcement video here.) Before the song makes its glorious debut on the internet, let’s take a look at how the singer came in and dominated the music world. Timberlake began in the boy band *NSYNC, who first broke onto the American scene in 1998 with hits like “I Want You Back” and “Tearin’ Up My Heart”. It was the group’s second release, however, that launched them into superstardom. No Strings Attached, released in the spring of 2000, sold 2.43 million copies in the first week and nearly 10 million before the year was done, and this was all in the United States alone. “Bye Bye Bye” and “It’s Gonna Be Me”, the effort’s first two single, became huge #1 hits on CHR radio. Though their followup, Celebrity, didn’t do nearly as well as its predecessor, it still kept the band on the charts and doing well at a time when the boy band bubble burst for acts like 98 Degrees, the Backstreet Boys and others. By the end of 2002, Timberlake had gone solo with Justified, which debuted at #2 on the album chart. Lead single “Like I Love You” showed a more urban side to the singer, but it was further singles “Cry Me A River” and “Rock Your Body” (#1 at CHR radio) that established him as a force at mainstream radio. He additionally provided the chorus on the first major breakthrough record for the Black Eyed Peas, “Where Is The Love?”, which hit #1 in 2003. 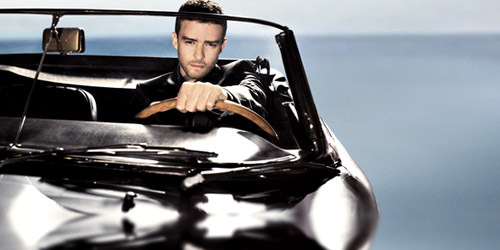 Though the album’s promotion was done by late 2003, Timberlake managed to stay on the radio as a feature on singles by Nelly in 2004 and Snoop Dogg in 2005, leading to his eventual return in 2006 with the 80’s-inspired FutureSex/LoveSounds and the #1 hit “SexyBack”. The album debuted at #1 in September with sales just under 700,000 copies in its first week and produced six singles, four of which hit the top spot on mainstream radio: the aforementioned lead single, “My Love”, “What Goes Around… Comes Around” and “Summer Love”. A fifth release, “LoveStoned”, hit the top 5. Timberlake’s been primarily focused on acting during the last few years, most notably portraying Napster co-founder Sean Parker in The Social Network. Though he’s collaborated with Ciara, Jamie Foxx, and T.I. in the past few years, Timberlake hasn’t been credit on a top-40 hit since 2010, so it shall be interesting to see if radio and retail was easily embrace him again as they did many years before. In the meantime, watch out for more news as it comes right here on POP! Goes The Charts.